• How did you get into being a Hair & Makeup Artist? I started doing makeup on my friends from an early age of 13. I have always had a passion for the beauty industry. For my own wedding, even though I was professionally trained, there weren’t any mobile makeup artists or hairdressers. You had to go to the salons to get ‘made over’. 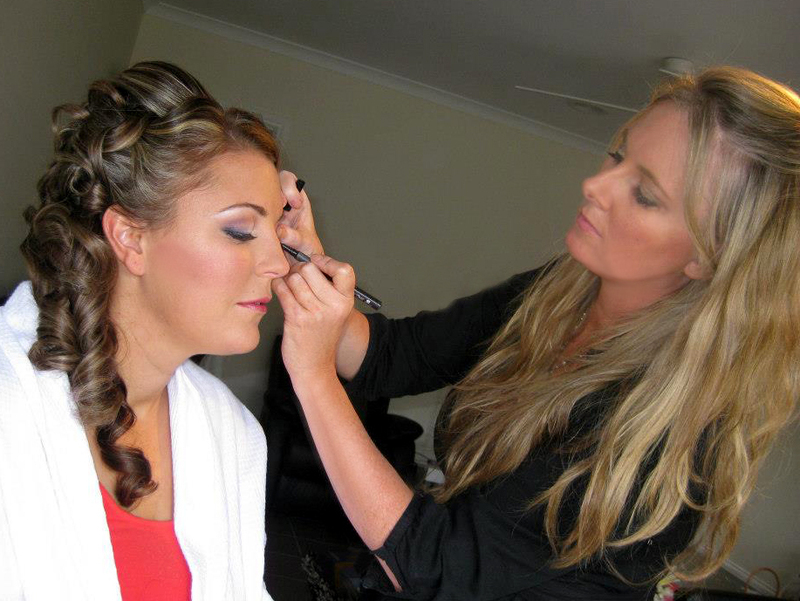 Magical Makeovers was the first team of mobile hair and makeup artists in Melbourne. I Love making people feel like a princess!. Bringing out the very best version of themselves gives me the most pleasure. There’s no better job! • What’s the biggest mistakes and myths about wedding Hair Style & Makeup? The biggest mistake bride’s make is following fashion blindly with the latest trends, but which date your professional photos in as little as 24 months. Classic, elegant styling is highly recommended, something that matches the bride’s personal bone structure and haircut so it brings out her best. • What do you believe about the wedding industry that no one else believes? Many people believe wedding suppliers are in this industry because it’s ‘quick or easy money” but the truth is as any self employed person will tell you, there are so many expenses to running one’s own business, and you’re dealing with the most crucial sensitive day of a couple’s life can be incredibly stressful. You can’t call in sick, you can’t cancel because you want a break. Your commitment is binding and loyal. Every respectable industry supplier can understand this level of assurance that only someone who passionately loves what they do can rise to such a promise. • What is the disaster that you closely averted, that the client never even knew about?